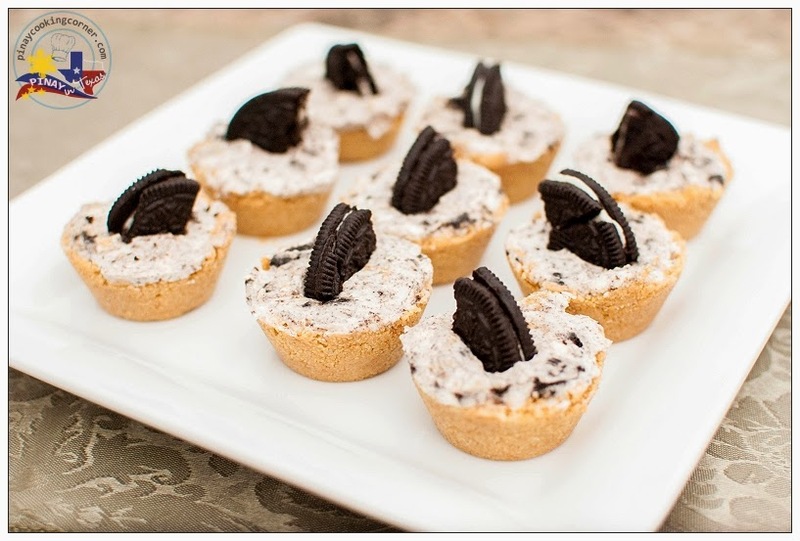 My lil' chef made some Cookies 'n Cream Tartlets yesterday, and I must say she nailed it! Even if I wasn't her mom, I would say the same thing. :) They were really good! The whole family enjoyed them. Do give this simple recipe a try! I'm sure you'll like it! 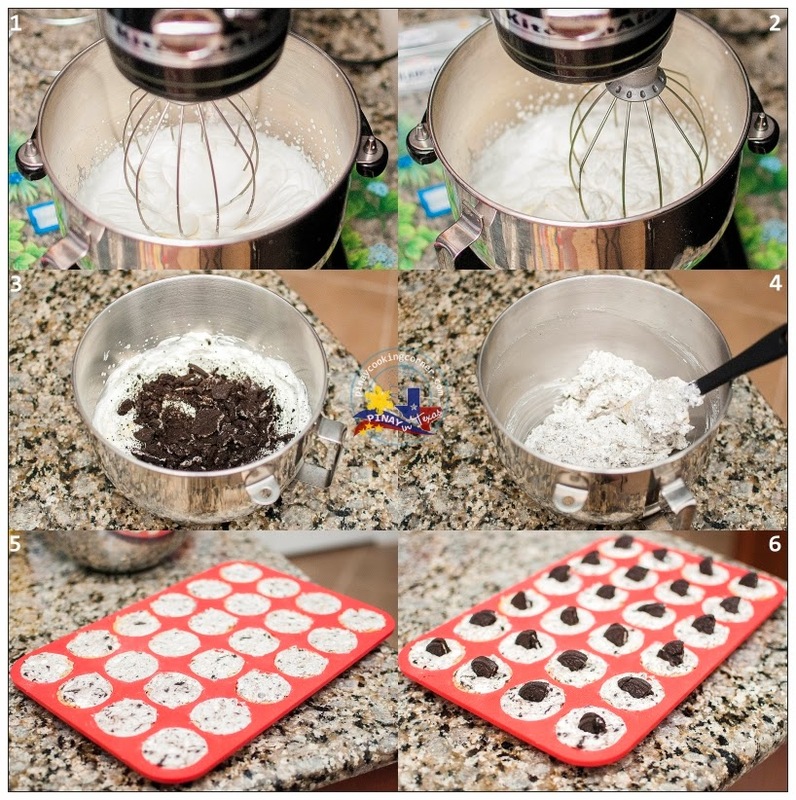 The outcome is yummy and so easy to make. The best thing is, it's a no bake recipe! 1. Using an electric chopper or food processor, crumb the graham crackers. 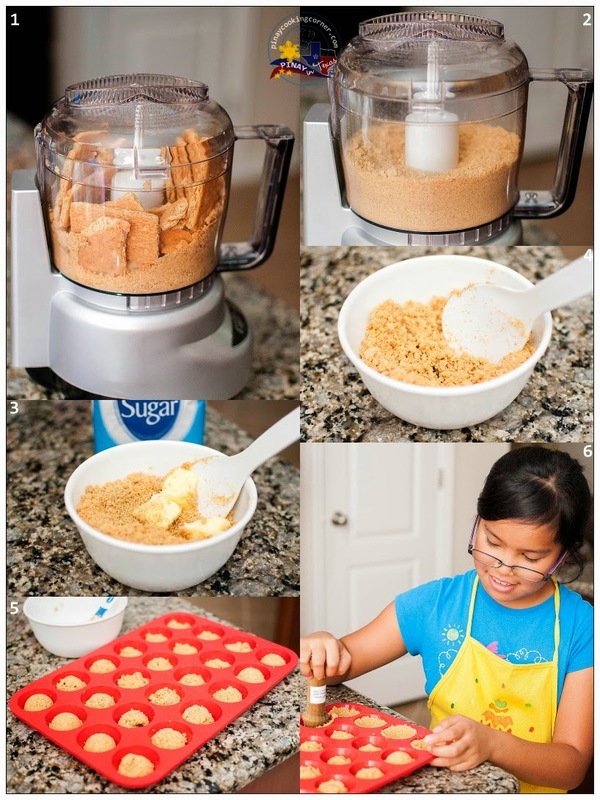 Combine graham crumbs, ¼ cup of sugar and melted butter in a bowl. Mix until well combined. Firmly press crumb mixture into tartlet pans or into a mini muffin pan using your hands or a tart tamper. Chill in the refrigerator while preparing the filling. 2. In a bowl, whisk heavy whipping cream until soft peaks form. Slowly add the remaining ¼ cup of sugar and whisk some more until stiff peaks form. Add cream cheese and whisk until well combined. 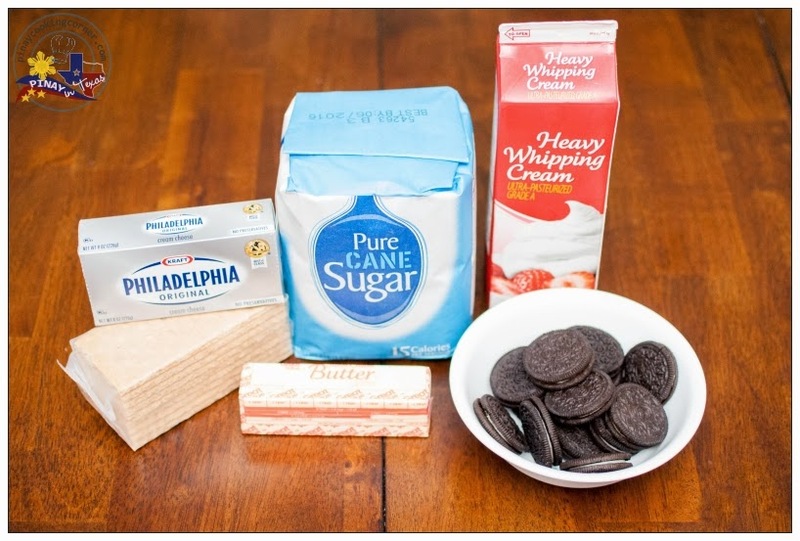 Fold chopped Oreo into the remaining whipped cream. Pour filling into crusts, dividing it evenly among the tartlets. 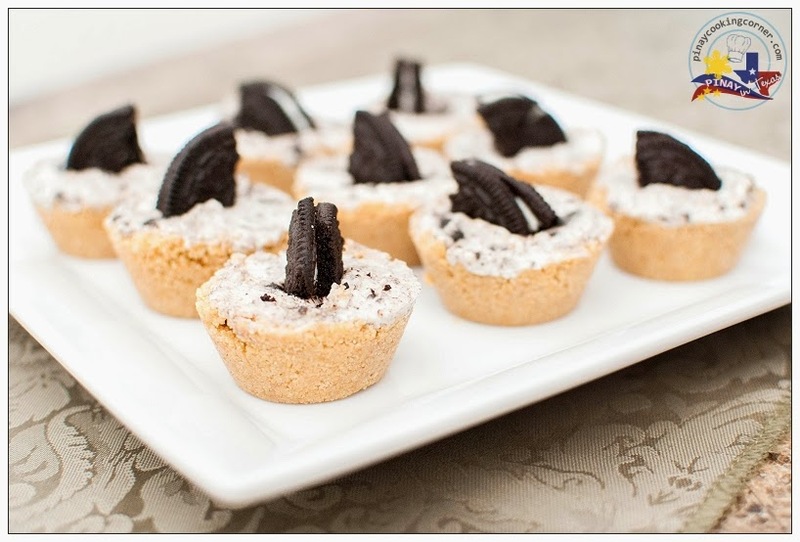 Top tartlets with quarter pieces of Oreo. Refrigerate for about 1 hour before serving. looks so yummy. future chef! it seems you went on vacay tins? oh that's why. kept visiting your site and no new post until this one. Take care! Congratulations! It looks like you had a blast!